Story: Air, Water, Earth, Fire. Four nations tied by destiny when the Fire Nation launches a brutal war against the others. A century has passed with no hope in sight to change the path of this destruction. Caught between combat and courage, Aang (Noah Ringer) discovers he is the lone Avatar with the power to manipulate all four elements. Aang teams with Katara (Nicola Peltz), a Waterbender, and her brother, Sokka (Jackson Rathbone), to restore balance to their war-torn world. 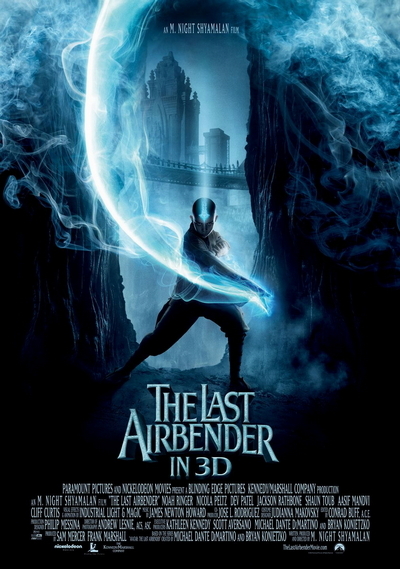 Based on the hugely successful Nickelodeon animated TV series, the live-action feature film "The Last Airbender" is the opening chapter in Aang's struggle to survive. Please note that UniMovies will be screening this movie in 2D.